A working-class poet, artist, musician and veteran of the Abraham Lincoln Brigade in the Spanish Civil War, Eddie Balchowsky was, in the words of Studs Terkel, "Chicago's Huck Finn." 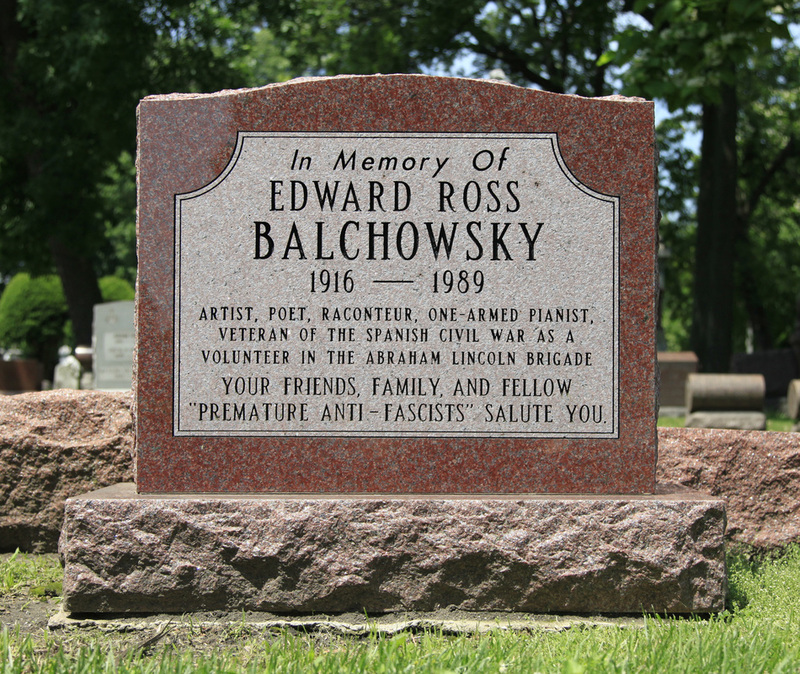 Balchowsky grew up in Frankfort, Illinois, of Jewish parents who had emigrated from Poland. After studying music at the University of Illinois, he responded to the call of Republican Spain and went there to fight Franco's fascism. Eddie lost his right hand and forearm in battle. His disability never vanquished his impulse to play music and Eddie learned to play beautifully with his left hand. 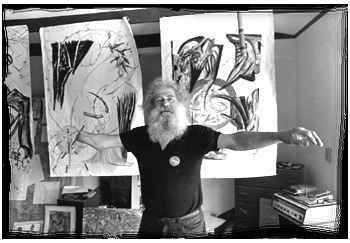 He was also a gifted painter and writer. Intimately familiar with Chicago's neighborhood cafes and their downtrodden patrons, Balchowsky liked to call himself the "King of the Alleys."